I love going out and doing things, especially on the weekends with my family. The "events" on FaceBook are both wonderful and terrible for me because I want to do all the things. Prior to having my son, my hubby and I used to do a lot more outings. Now, we have to work outings around nap time, crankiness, potty training, meal time, and every other baby/toddler thing. Additionally, we have to consider if it's kid-friendly and whether it'll be easy to keep him out of trouble. Sometimes something might be more effort than it's worth, so we have to pick our outings wisely. For instance, we don't do the outdoor concerts. It sounds idyllic: sit on a picnic blanket with some snacks and listen to the band while your toddler dances next to you. However, the reality is I would be running around all the other picnickers chasing my son whom once caught will scream and kick. I'm sure you can picture it, or maybe even experienced it. Power to you if your child isn't a "runner" - enjoy it. I get my daily exercise just chasing him. Anyway, overall I do love the events on FaceBook. I have my FaceBook doubts and dislikes, but the events are great. It's fun to see what my friends are interested in (maybe we can go together?!) and I find out about events that I normally would never have known about. It's hard to keep up with things when you have a toddler. Where are this magical events on FaceBook? On the main FaceBook page, look to the left navigation. Under "Explore" you should see the "Events" link. Cool, right? 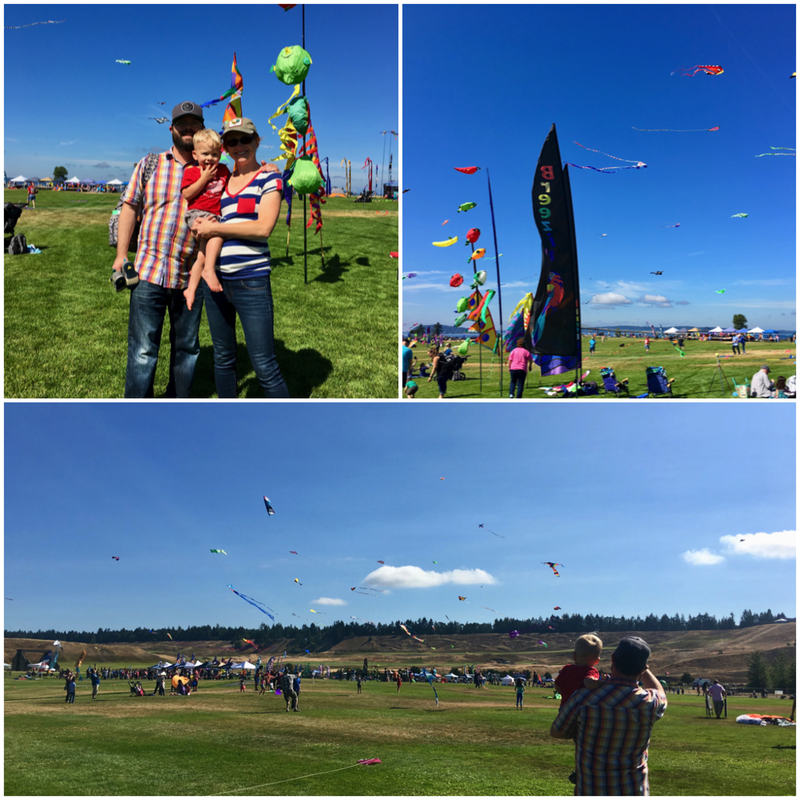 A few weekends ago, we went to the Chamber's Baby Kite Festival, the Proctor Arts Festival, and Sumner Rhubarb Days. It was a jam-packed weekend, but fun. Keep these on your radar for next year! Sure, those events are past, but there are plenty more coming up. Here are a few that I have saved on my FaceBook events in hopes that we'll get a chance to check them out...toddler depending. I consider the first half of September part of the summer since it still tends to be sunny and warm. Although, you can start to feel a change in the air for sure. And, also the official first day of fall is September 22nd. So, I'll list some events in September here as well. I know, I know, I just said above how outdoor concerts don't work with us. BUT, I have friends who have toddlers and it does work for them. So...I felt I should still share. Every child is different, so this might work and be fun for you! We love Farmer's Markets. The Proctor Farmer's Market on Saturdays goes year round but gets smaller in the winter months. The Point Ruston Farmer's Market ends and will end soon! It runs every Sunday until September 30th. I was surprised when many of my friends weren't aware of this particular farmer's market. You should check it out before it ends! P.S. Be sure to get to the Broadway Farmer's Markets on Thursdays before it ends, too! This is happening this weekend. I haven't been to it before, but it sounds like fun. Apparently, it's also Tacoma's largest street fair. There will be food trucks and music. It lists "kids activities" and also a car show, so sounds like a good outing for the family. Every year I keep saying we'll go next year when Caleb is older. I plan on saying, "this year we're going!" I am 100% sure that the animals are a blast. Plus, there is food, music, rides, and more. It's worth a trip over to Puyallup. It's not a free event, unfortunately, but you can get discounted bundle tickets at Fred Meyers if you purchase them before August 31st. Or, buy them online before August 30th for a discounted price as well. This is a cute, little market that has been running on the weekends this summer. You can support local makers and enjoy a coffee from Anthem or ice cream from Bliss since they are usually there, too. Honestly, this might be one you prefer to get a babysitter for given it has a lot of wine and beer...but there is art, too. But, I'm sure it could be fun to just walk around for a little bit as well. While I have this saved as an event I'm "interested" in on Facebook, we most likely won't go. For one, I can't drink since I'm preggers. And two, Caleb is two and this might not be a "worth the effort" event for us. One day we will get to this one, though! Just a heads-up, you do have to pay $25 but it gives you entrances and drink tickets. Swedish is part of my heritage. I grew up with Swedish coffee cake, peppakakor, and krum kager. Not to mention, I just adore Scandinavian pancakes. We used to go to Solvang all the time as a kid (California's answer to Leavenworth, but Danish style) and we'd eat all the things. Doesn't that pannekaker look delicious? 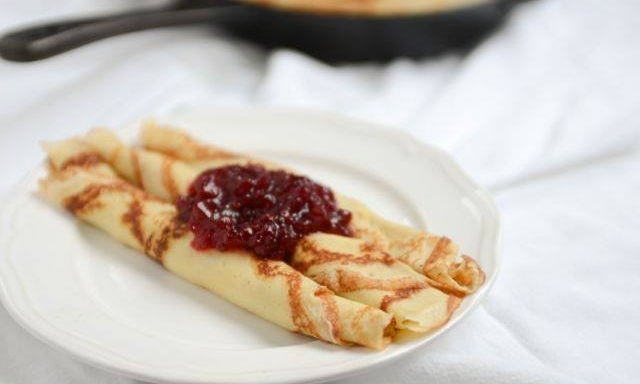 Pannekaker is a cross between a regular pancake and a crepe and usually comes with lingonberry jam. This would be a fun Sunday morning! FYI, it's not free, but $10 a person, ages 6-12 for $5, or under 5 is free. My first thought when I saw this event was how Caleb would probably enjoy the dancing, colors, and music. I haven't been to a Moon Festival before, but it sounds like a fun way to learn and enjoy the Chinese culture. The site says, "live music and dance on the Fuzhou Ting stage, food and art vendors, hands-on activities for all ages, tea tastings, and a beer and wine garden. At the end of the festival, the Moon Princess will lead a parade of lanterns." I bet it's a good time! A few more for good measure, and I'm sure there will be more to come. I mean it's fall, season of pumpkins, apples, Halloween and everything awesome. I have missed this event in past years always seeing it advertised after it's happened. There isn't much description, but who doesn't like some pita, feta, gyro, and Greek dancing? More Scandinavian love! I would love to see some peppakakor for sale so I could eat it. Nom nom. And it lists cookies so I think chances are high! There is also music, arts, crafts, and other vendors. Admission $2.00 and children under 12 are free. This popped up as something a friend of mine was interested in, so naturally, I am "interested" as well. It sounds like a perfect kid event. Plus, Sehmel Park is awesome. The event is free although some activities might have a small fee. And guys, "music, farm animals, hay rides, camel & pony rides, carnival games, food and fair treat vendors." This sounds like a must-go! Wow, there is soooo much to do! So much fun to be had. I hope we manage to get to a few of them. I'll do another fall events post most likely as I'm sure more will pop-up as the time nears. Or, if you know of anything, let me know. I"m always curious to know the happenings.